Home Seaside Heights & Seaside Park Government Will Dunes Block the Seaside Heights Boardwalk View? 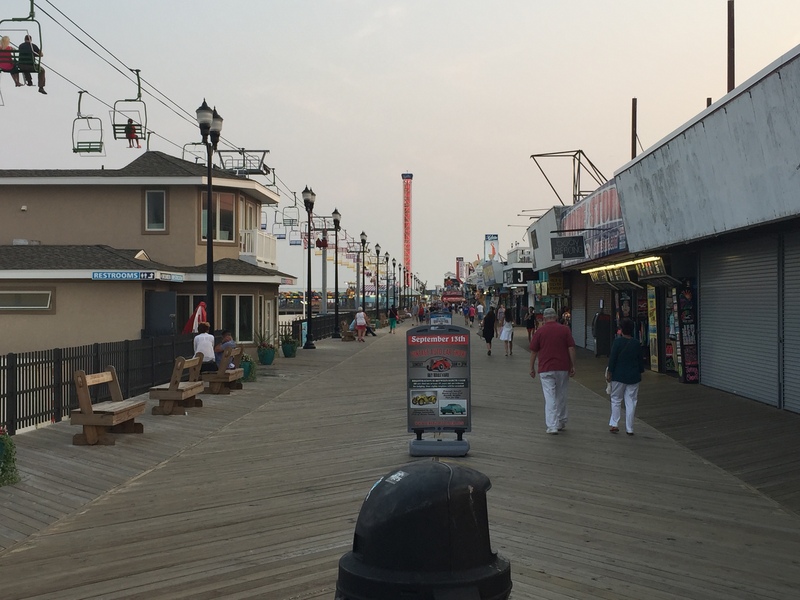 Will Dunes Block the Seaside Heights Boardwalk View? Strolls on the Seaside Heights boardwalk aren’t just useful for a healthy morning walk or jog – they’re central to the borough’s tourism economy. The prospect of an upcoming dune and beach replenishment project has been cautiously welcomed by Seaside Heights officials, who have voiced support for the project alongside worry over the view of the Atlantic Ocean from the boardwalk as well as the size of the beach in relation to the engineered dune. In recent weeks, borough officials met with representatives from the U.S. Army Corps of Engineers to pitch the idea of an underground, steel bulkhead revetment that could either lessen or replace the Corps’ engineered dunes as a means of shore protection. The borough will likely ask for a modification anyway, and revisit the issue after the dune project is completed. “Two years from now, if the bulkhead makes sense, we could do that and push the dune toward the berm,” Vaz said. In reality, it is unlikely the dune will fully block the view of the Atlantic Ocean. Vaz said the dunes in Seaside Heights will be built 18 feet high from the base elevation, meaning that from the boardwalk, the dunes would be about waist-high. “They’ve accommodated Seaside Heights because of the tourist aspect,” Vaz said, explaining that 23 foot-high dunes were initially proposed. To a great extent than the view, borough officials are worried about future funding for beach replenishment, and what businesses would be facing if the size of the berm in front of the dune shrinks during storms.